Visitors to Charlotte's Discovery Place museum check out World Alive, the museum's exhibit with an aquarium, a rainforest, a biodiversity gallery and two hands-on labs created to inspire inquiry-based learning. 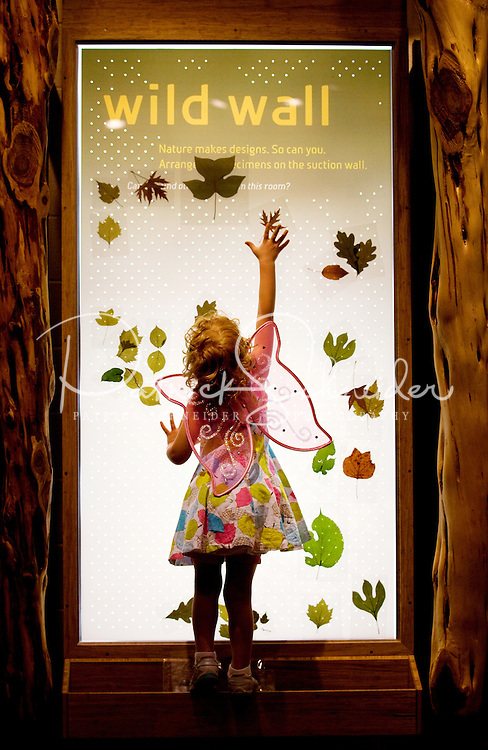 Here, a child is sticking leaves to the "wild wall," which uses air suction to let kids design. Discovery Place, Charlotte NC's interactive children's museum, unveiled its interactive exhibits and hands-on activities in June 2010. Renovations of the popular family museum were made possible by the City of Charlotte, the Arts and Science Council and private donations. Discovery Place museum has age-appropriate exhibits for kids of all ages.